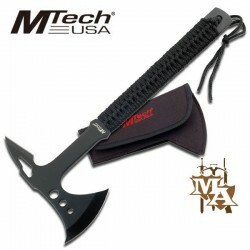 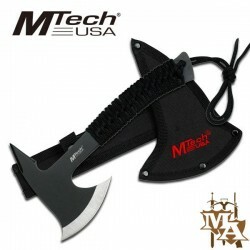 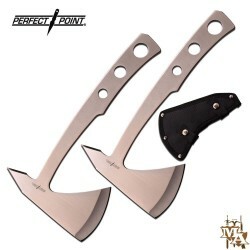 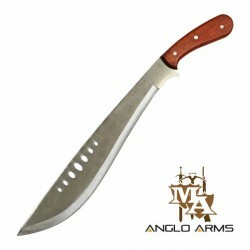 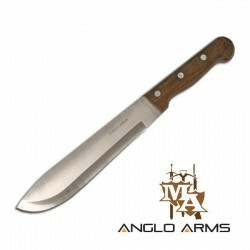 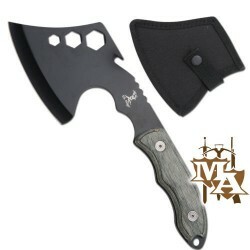 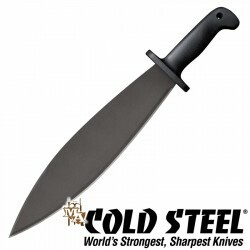 Machetes & Axes - Master of Arms LTD. 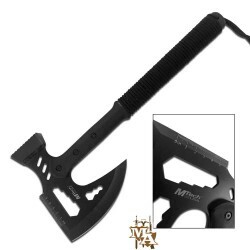 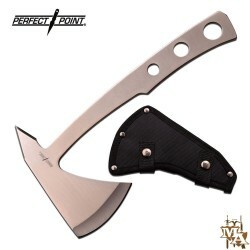 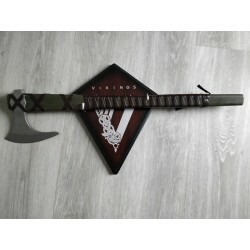 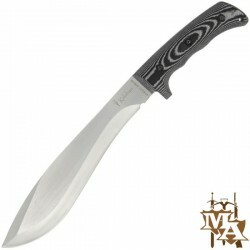 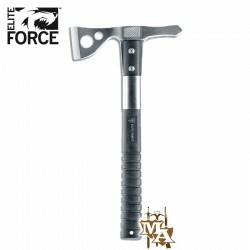 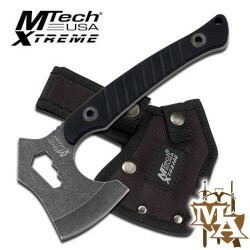 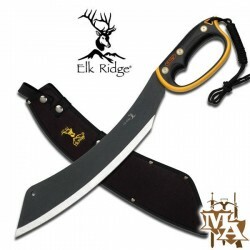 This axe is constructed of stainless steel with a black finish and silver edging. 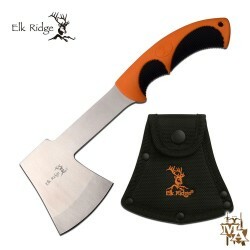 The handle is constructed of wood that has been stained and treated with a polyurethane coating. 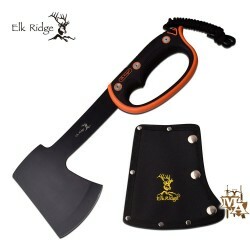 Included is a leather frog with steel rivets that slides onto a belt to keep your axe at your side.Features: Overall length is 15.50 inches.